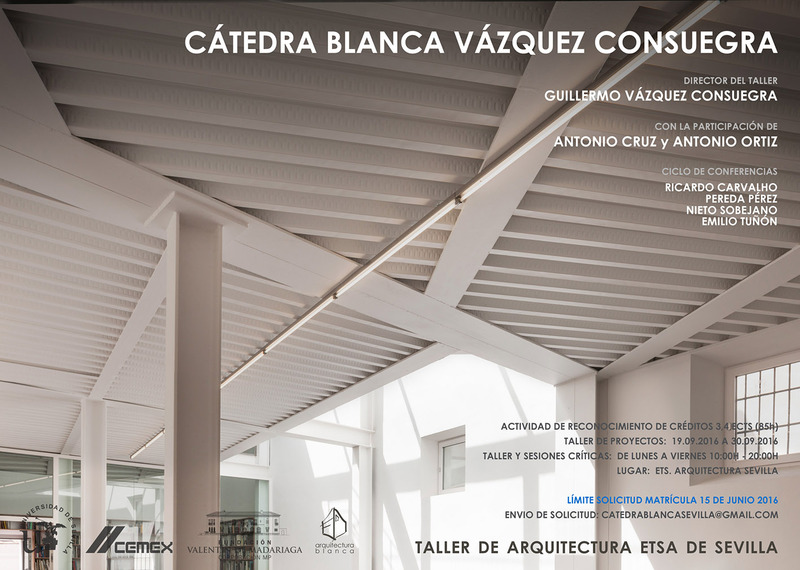 CATEDRA BLANCA CEMEX – SEVILLE 2016. Guillermo Vázquez Consuegra. Bakpak has participated as assistant in Cátedra Blanca Sevilla. Between 19 th and 30th of September we have participated as assitant in the intensive workshop Cátedra Blanca at Higher Techinal School of Architecture, Seville. This intense workshop includes a project about urban planning and architecture, conferences and reviews.